Welcome to Loskop Valley Lodge and Restaurant situated in the Loskop Valley, with a three-star accolade from the Tourism Board. We provide accommodation in comfortable rooms amid subtropical gardens and palm trees and meals can be enjoyed at our a la carte Restaurant with a special Sunday afternoon buffet. We also facilitate conferences, functions and weddings. 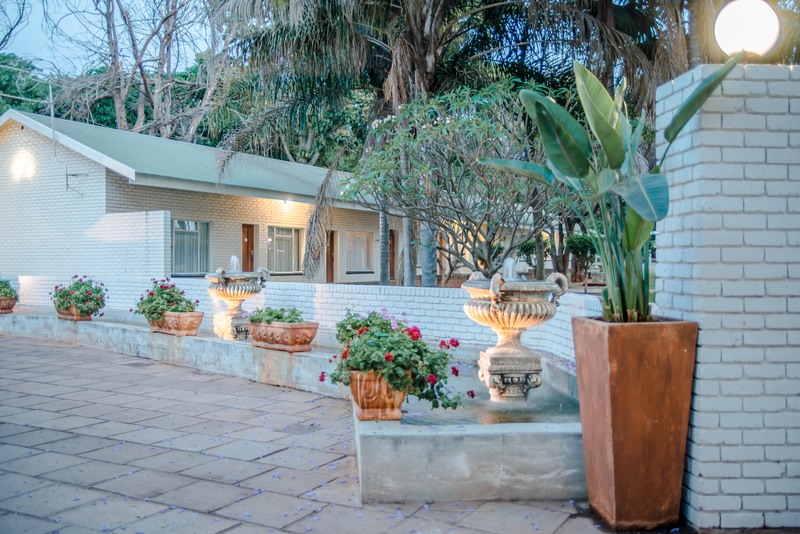 Loskop Valley Lodge is situated 4,4 km from Groblersdal on the Bronkhorstspruit - road and is about 100 km from Bronkhorstspruit, 40 km from Loskop dam, 90 km from Middelburg and 28 km from Marble Hall. The Lodge is easily accessible from the tar road and the roads in the vicinity, both tar and gravel are well kept up. This is a Malaria-free area with a typical subtropical climate and an annual summer rainfall. Winter temperatures are moderate, it ranges from about 8 °C to 24 °C while the summer temperatures range between 16 °C and 35 °C. The vegetation in the surrounding environment consists of Bushveld trees and grass. The Loskop Valley community is mainly a farming community. It is the largest Lodge of its kind in the immediate vicinity of Groblersdal. Though it can accommodate large groups, the lodge was designed in such a way that there is still a prevailing feeling of privacy. The Lodge exudes an air of peace and tranquility. Built on the basic premise of "the guest is always right" the Lodge has grown with leaps and bounds in the 16 years since the little piece of land was first bought by owners Willem and Joey Janse van Rensburg. Come and visit us - be it as business person or traveler - Loskop Valley Lodge is the perfect home away from home.